A stylish wall mounted bath spout that can be used as an alternative to the conventional bath filler tap. The spout can be used with a manual mixer valve or a mixer valve with diverter which allows control of the spout and a shower accessory. 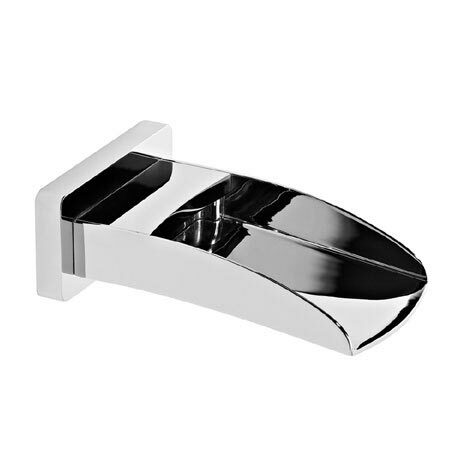 Create a contemporary look and feel with this stunning chrome finished spout. This product is of a solid construction with good quality parts and looks great with water falling off the end of the spout.